Every fishing trip on the FIRST LIGHT is a trip to remember! Captain Steve Haeusler and crew welcome you to the new Charter Boat First Light website, your number one destination for Deep Sea Fishing In Destin Florida! Whether you are an avid fisherman or a novice looking to improve on your skills, let Captain Steve Haeusler and Charter Boat First Light show you the way. 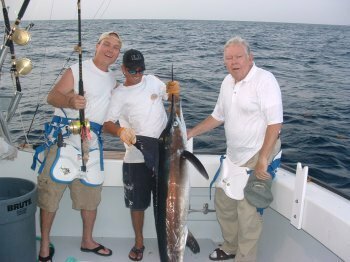 Captain Steve Haeusler has over 30 years of fishing experience in Destin Florida and has been chartering deep sea fishing trips for over 20 years. 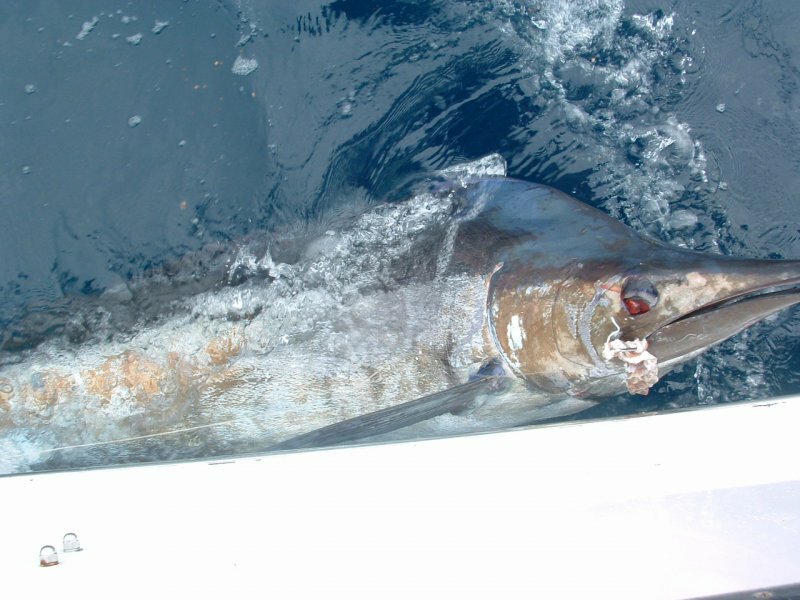 With his experience and expertise, your next Destin Florida deep sea big game fishing trip will be one to remember! If you are new to the area or are visiting and looking for something fun to do, you have come to the right place. Destin FL has an abundance of Red Snapper, Grouper, Amberjack, Scamp, Triggerfish, which are all fish that we catch bottom fishing. 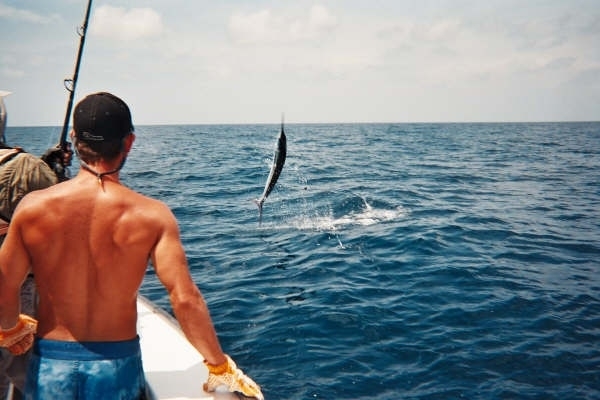 King Mackerel, Spanish mackerel, Bonito, Black fin Tuna, are all inshore trolling fish. Blue Marlin, White Marlin, Sailfish, Swordfish, Yellowfin Tuna, are offshore deep water trolling fish but they are not always easy to find. Taking a fishing trip with Charter Boat First Light drastically increases your chances of pulling in some of Destin’s biggest fish. 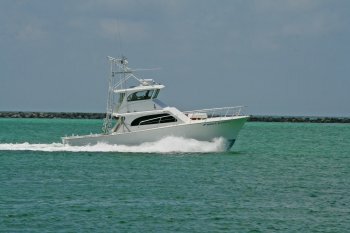 With competitive rates and expert knowledge in the area and the fish in the area, Charter Boat First Light is your number one source for deep sea fishing in Destin Florida! Look no further than right here for your next trip. 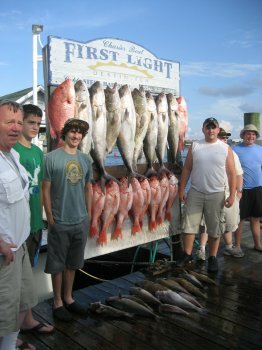 Take a minute and browse through our site for information on our trips, photos of past fishing trips, rates, and more! 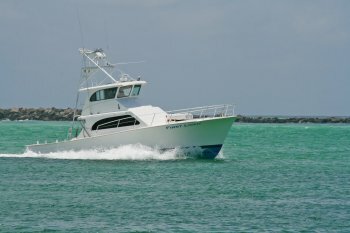 If you are ready to take the next step and book your deep sea fishing trip with Charter Boat First Light, contact us today for more information. 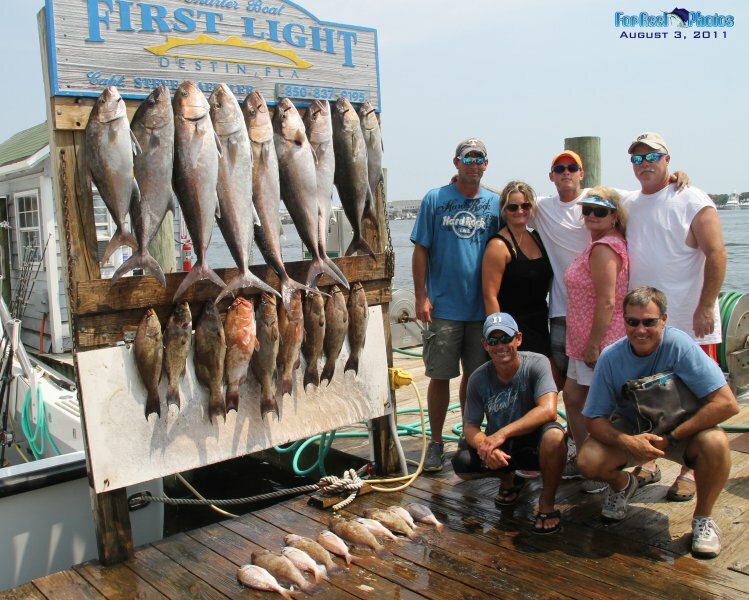 You can reach Charter Boat First Light by phone at 850-837-9195 or by cell at 850-699-2188.